1. Is the training delivered by someone with decades of business owning experience, or an employee? The business and management training provided by Profit Transformations is delivered by the Managing Director Tim Stokes, who has owned and built seven businesses over 34 years. Tim is one of Australia’s most experienced business mentors having delivered training for over two decades across Australian. 86% of all clients of Profit Transformations in that time have been businesses in service industries, followed next by manufacturers, wholesalers and retailers. 2. 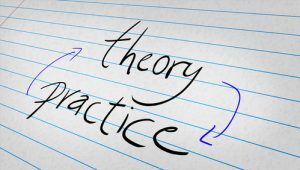 Is the Management Training Based on Theory to Impress Academics, or Practical Real World Experience? Tim is no academic, despite having trained academic professionals as clients. First of all he’s a researcher into the best business success practices in the world. By applying what he often paid-to-learn, to his own various companies since 1990, he’s identified exactly what works in real world businesses. Absolutely and it needs to be. While working with hundreds of businesses one on one, 7 core subjects were identified that all business owners benefited from learning. These 7 core subjects benefit every established business with 3 to 50 employees and owner with 5+ years of experience. 4. Is the Training an ‘Event’ Where You’re Left to implement it On Your Own? Nothing beats hands-on, practical and experience training. Our premier training program the Academy of Business Mastery introduces you to strategies that you then implement with additional information and then your experiences are reviewed to verify the outcome is as intended. You are fully supported with every single strategy, tool or system all provided in the training by email and one on one video (Zoom) meeting discussions as often as you want or need them. 5. 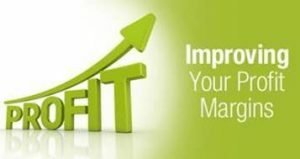 Will Your Training Increase My Sales, Net Profit and/or Net Profit Margin? From decades of experience with training and reviewing hundreds of Profit and Loss Statements, the number one focus of training should be on increasing Net Profit Margins. When a business has reached $700,000 in revenue the Net Profit Margin, if lower than 15% reduces available cash levels. Increasing sales often sees the Net Profit Margin reduce as a percentage, seen in 90% of businesses P & L reports. If your business is operating over 15% there’s still the potential to increase it 5% to 15% because so many of our clients’ businesses have. And yes, our management training will increase revenue as some clients have grown by multiple millions of dollars in revenue in the year of the training and after. However, its the increase in Net Profit and Net Profit Margins that literally transforms businesses and the owner’s lives. It’s not uncommon to see clients’ businesses increase Net Profit as much as their revenue, during the training course. A $250,000 increase in revenue is often a similar increase seen to Net Profit. Our training provides the direct strategies, tools and ready-to-use systems that frequently see businesses over $700,000 ad $120,000 to $680,000 in Net Profit in the financial year. Whatever your goals for your business, our Academy of Business Mastery can help you to achieve smash them. You’re here and reading this far because you see the benefits of management training. While this page answered some questions you may have, obviously there’s a lot more to consider. With that in mind, the best next step is to have a 10 minute conversation about your business and answer all your specific questions. Just 10 minutes is all we’ll both need to see if its worthwhile talking more. After 10 minutes that’s what Tim will ask you. If so, he’ll ask you more questions about your business, such as size by number of employees, years trading, where you’re located, your goals and challenges and what you’re looking for in business training. Tim will spend 45 minutes with you in total to determine an accurate “profit potential” of your business by identifying key growth areas. You’ve got nothing to lose, but a whole lot of clarity to gain. There’s no cost and no obligation to have a 10 or 45 minute chat. Just select a day and time on the calendar below that suits you and let’s make it happen. Get all your questions answered at the one time fast. It’s called a “Breakthrough Session” because for some business owners it truly was, thanks to the clarity and confidence Tim helped to pass onto the owner during the meeting. Want a breakthrough with your business? Book a day and time and let’s talka bout it. There are so many examples of client businesses’ results it fills pages and pages, so to save you the details here’s one for a common industry – electrical contracting. Have a chat to Tim and if you like we can put you in touch with Chris, so you get the the info straight from him about his experience and results of our Academy of Business Mastery. Book your calendar appointment and let’s talk soon.